When healing after a break up, sometimes we need a little extra lift to feel better. 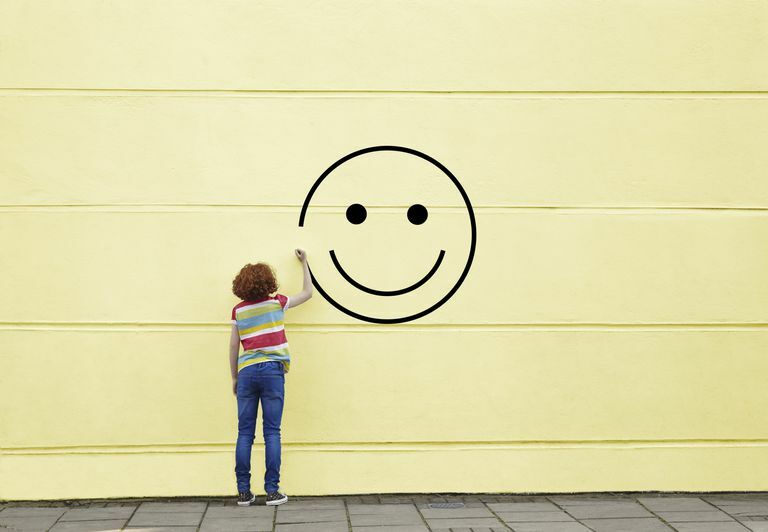 Whether your current concern is getting stuck in the details, feeling lonely, or you just want a quick pick me up, try reviewing this list for ways to get happy and feel good about yourself. Then, write down your favorites somewhere handy, so you can refer to it whenever you're in need of a feel-better tonic. A needle-free form of emotional acupuncture that has helped many people reduce their negative thoughts, emotions and memories to a point where they are no longer debilitating, EFT offers fast feel good assistance to anyone who willing to read through the relatively simple and totally free how-to. A simple tool to use when needing to change your negative self-talk into positive, affirmations can be used anytime, anywhere, and have immediate impact. Just make sure to choose something that really resonates with you in order to receive the best feel good benefits. Whether you choose a comedy, teen, or break up movie, look for a feel good script that'll give you a lot of laughs. Other ideas include great TV shows or movies (maybe stay away from the romantic comedies for a bit), a stand up comedy show, or even asking a friend over to see who can make the other laugh more. There are even things called Laughter Clubs and Laughing Yoga - both worth checking out. A personal favorite, no matter what I'm unhappy with in my life, when I have a long, hot shower, I instantly feel better. A bath works equally as well for those who like to soak, or you could even visit the local pool to take a dip in the hot tub. A sauna, sweat-inducing workout, or a massage could also do the trick. Several major studies have found that drumming helps us to relax, process grief, feel good about ourselves, and even treat a wide variety of physical ailments. If you join a drumming circle you'll have a community of like-minded people to grow with and learn from as well. I'll attest to drumming as quick breakup relief; a few years ago I was invited to a surprise drum circle with 30 other women, and it was one of the most fueling, fun and exhilarating experiences of my life. A favorite topic among musicians, there are a great many songs specifically created to help others through a particularly bad loss. Create your own break up music soundtrack with these suggestions, using tunes that make you feel empowered, strong and liberated. When was the last time you thought about your breathing and how it fueled you? It can take mere seconds to sit with your breath, using techniques like conscious breathing or yoga's pranayama, but the get happy benefits will last a lifetime. Its cheap, easy and anyone can do it pretty much anytime. Walking gets the blood coursing, and the brain working (sometimes more so, other times as a form of meditation). You could always go for a walk with a friend too and talk out whatever is on your mind, explore a new hiking trail, or find a labyrinth to walk for a more serene get happy experience. Fantastic for flexibility, and a great mood-enhancer, yoga is an excellent tool in your feel better arsenal. Another one that I'll stand by from personal experience, especially a specific form called Ecstatic Yoga, coined by local-to-me Karma Yoga instructor, Emersom Lim. Decreasing stress, improving mood and bettering one's response to negative emotions are all benefits to meditation. Plus it can be done anywhere, and almost anytime, provided you have a couple of uninterrupted minutes. As a martial arts technique, karate is well suited as a feel good activity because of its multiple outcomes: it gets you moving, it helps with concentration, it fosters community, and it enables those learning it to better defend themselves. Frequently the unhappiness we feel about a specific situation has more to do with how we look at a something than what's actually occurring. Try reframing your experience to find an almost instant mood boost, such as telling yourself the experience is a challenge and not a threat. Games are an effective way to get your mind off your break up, and focused on relaxing and enjoying yourself again. And almost any game will do that engrosses you, such as card games, online games or even non-addictive games. Better yet, what did you play when you were five, by yourself, for fun? Do that. If you have a cat or dog, studies have shown that pets reduce stress almost as well (if not better) than having a significant other. Don't have a pet? Then try volunteering at the local SPCA to walk some dogs, or offer to take care of a friend's animals while they are away to receive the same short-term get happy benefits. This get happy suggestion may take a bit more time than the others, but according to Feng Shui experts, clearing clutter is the first step in getting unstuck from your past and moving forward. Are you a purist who'd rather use a piece of paper, or more techno-savvy and therefore enjoy online journaling? Either way, writing about whatever is bothering you is a fantastic way to feel better fast. Just make sure that your thoughts are kept private, so you don't have to censor yourself. You probably already know intuitively that certain foods make you feel better than others. But have you ever eaten anything specifically because you knew it would enable feel good feelings? Get happy by trying one (or a couple) of the suggestions on this break up foods list.